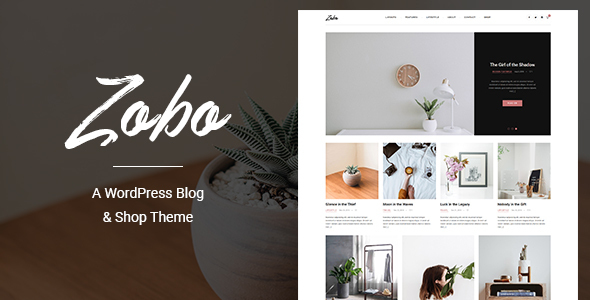 Zobo is a clean and minimalist theme that allows your reader to focus on your content, build especially for daily or hobby bloggers who love to share their stuff. Whether it’s about life, fashion, travel, beauty or just a simple personal blog. Featuring a clean, elegant design, this theme is guaranteed to bring a pleasant reading experience to your readers. Currently selling products or dream of someday opening an online store? Have no fear! Zobo and WooCommerce are the best of friends. With WooCommerce compatibility and crisp, uncluttered custom styling included. Zobo will ensure your webshop shines as bright as your wares. Custom styling for MailChimp for WordPress so you can display a beautiful newsletter widget. Documentation included to main package. Also, there is online documenation. Thanks for checking out Zobo! Feel free to contact us with any questions or comments you may have? you’re the reason we’re here! We love any and all constructive feedback and even folks dropping in just to say hello. If you love Zobo as much as we know you will, please remember to star rate it!